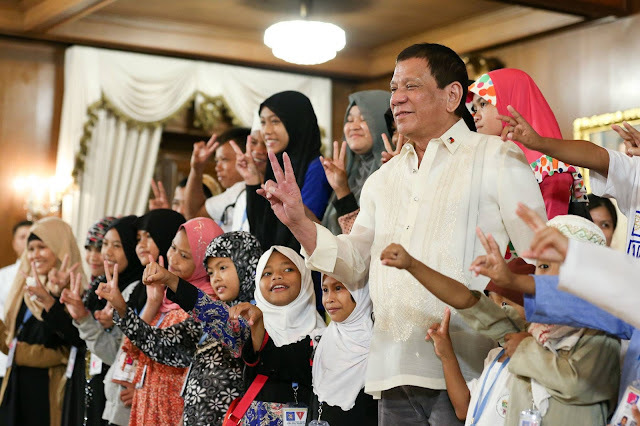 President Rody Duterte meets displaced Marawi children, vows to rebuild city President Rodrigo Roa Duterte on Tuesday, August 29, assured young residents of Marawi that the government would restore the city following massive destruction caused by clashes between military and the Maute rebel group. 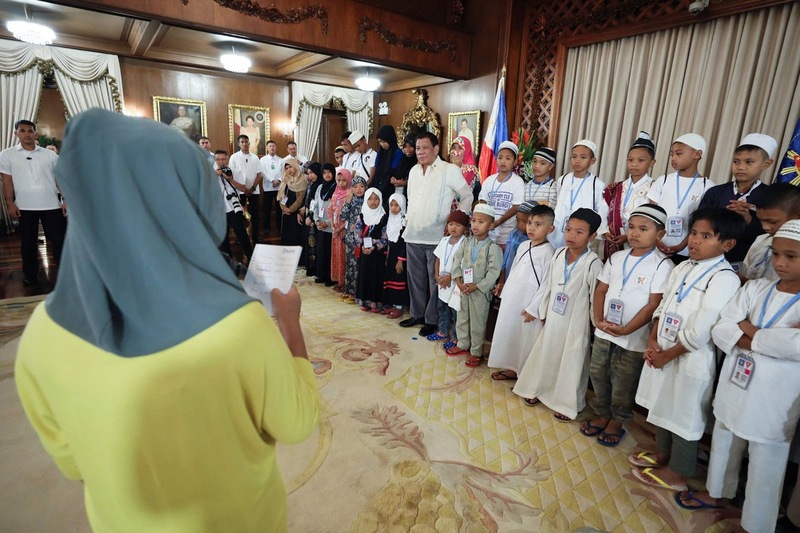 President Duterte made the assurance as he met with around 35 Marawi children in Malacañan Palace. They are part of socio-cultural tour in Manila dubbed as "Tabak Educational Tour: Peaceful Environment for Marawi Children." 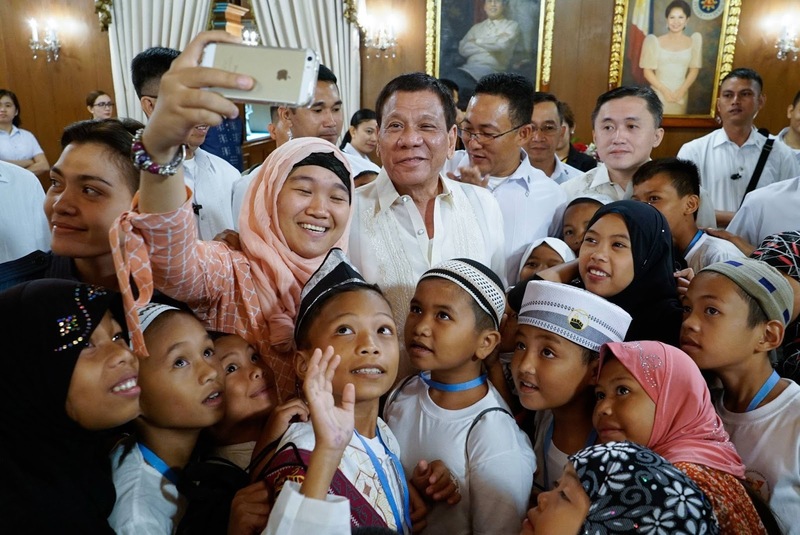 In his short message, the President promised the displaced children of Marawi that he would rebuild the strife-torn city and give them hope again for a better life in the once peaceful Islamic area. 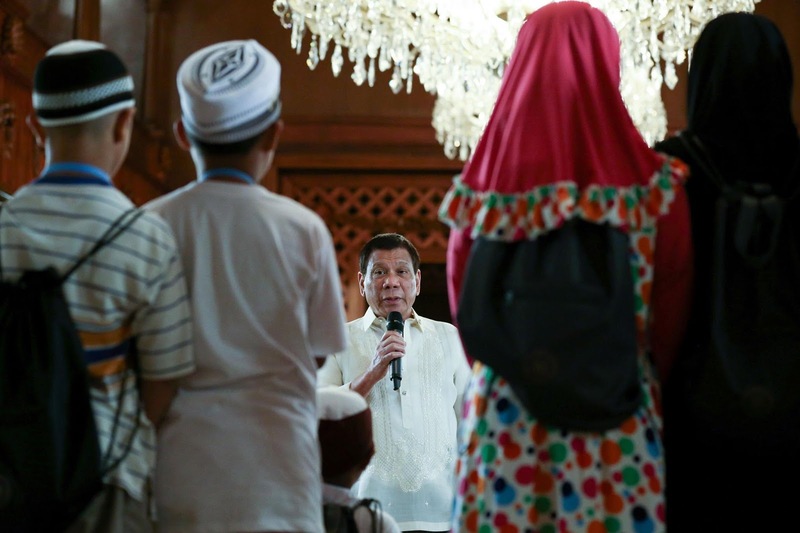 He said he will work hard to bring back Marawi to its original state, if not, make it more attractive than before and without hostilities. 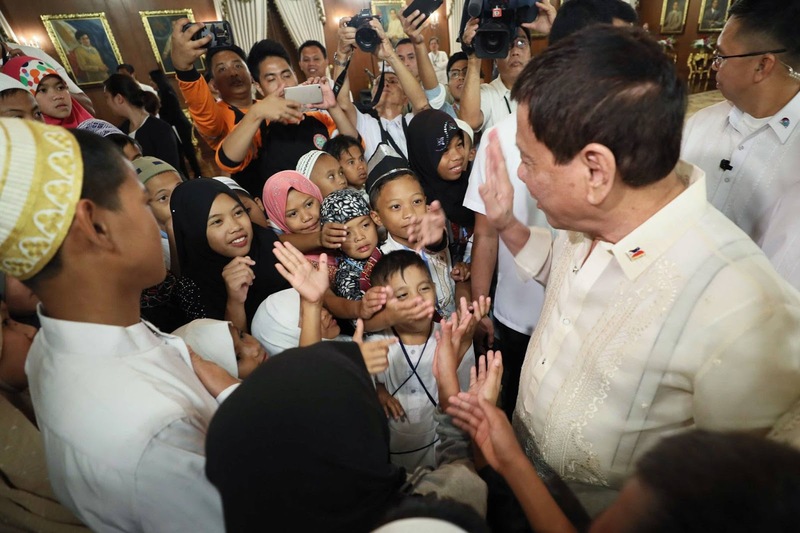 The Chief Executive told the children that he will prioritize the reconstruction of their homes and schools. 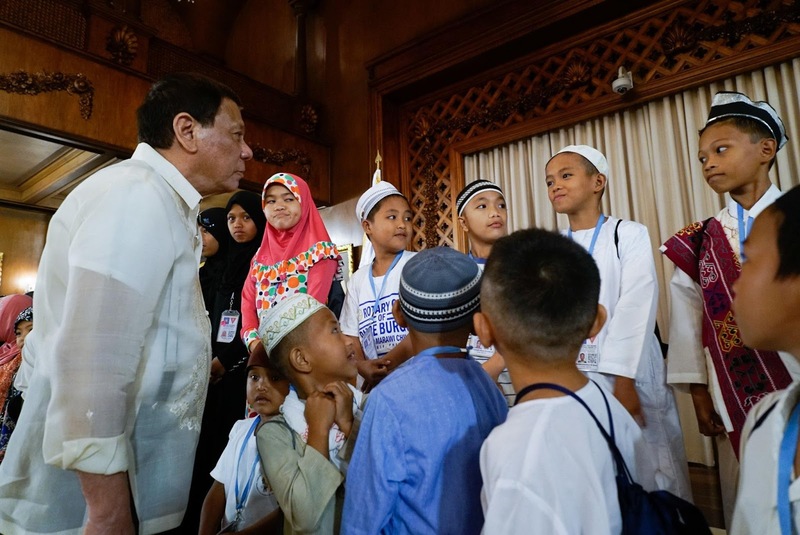 He shared that he himself has relatives displaced by the conflict in Marawi and are now staying in evacuation centers. 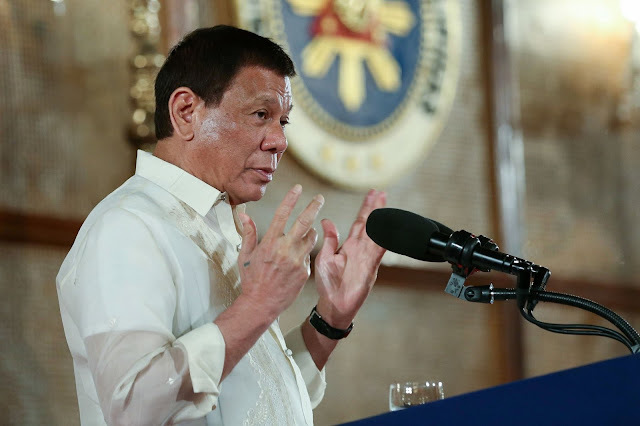 He likewise assured that the end of the siege is in sight. 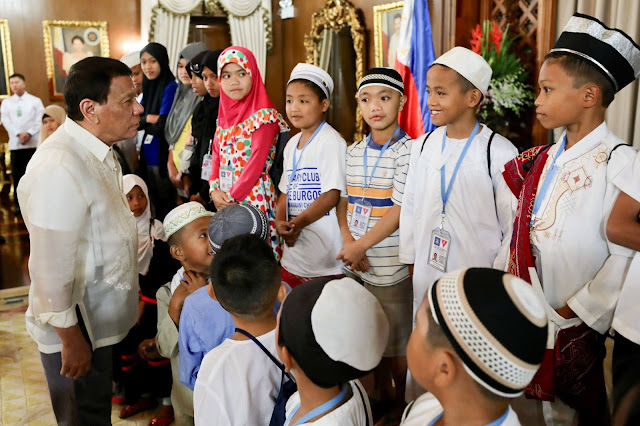 Lt. Col. Jo-Ar Herrera, spokesperson of Joint Task Force Bangon Marawi, which organized the children's tour, said the educational tour aims to provide the participants the opportunity "to see a peaceful environment and be able to grasp a positive perspective." The tour will also comprise a visit to the Mind Museum and the Philippine Army, which will facilitate peace-building activities for the children.